The Fisker Karma is one drop-dead stunning automobile, with a design so extravagant and so eye-catching that its green powertrain--it's a range-extended electric car--is practically beside the point. 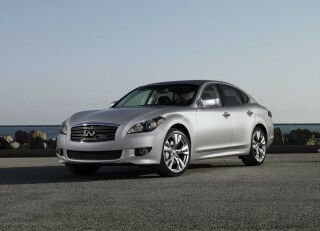 The sleek, low, rakish lines wowed the crowd when it was unveiled at the 2008 Detroit Auto Show, and the car itself finally struggled into production as a 2012 model. The company that makes it, however, may well not survive in its current form. Fisker Automotive has endured numerous schedule delays, brutally negative reviews, and sales of apparently only small numbers--2,000 to 3,000, all of them 2012 models. Fisker executives are now in China, seeking new investor, further strategic partners, or an outright sale of the company. What will happen is anyone's guess, although the business media report at least two Chinese companies in serious competition to buy the startup automaker. The Karma itself is a four-door electrically driven luxury sports sedan with some of the sleekest and most low-slung lines of any four-door sedan sold today. The styling comes from Henrik Fisker, who previously designed Aston Martins and BMWs; he founded Fisker Automotive in 2007 to build a "green luxury" car. One standard feature is a roof fully covered with photovoltaic solar cells, providing enough power to cool the cabin while parked. On fully sunny days, the solar roof theoretically adds 1 mile of range to the car’s battery each day. Fisker's battery supplier, A123 Systems, had to recall all Karma battery packs in early 2012 to replace faulty cells from its new Michigan fabrication plant, that That sent A123 into bankruptcy court later the same year, meaning that lithium-ion cell production stopped. That, in turn, required Fisker to suspend assembly of the Karma at its contractor in Finland. A plethora of recalls, service updates, multiple CEOs, a few well-publicized fires, even the destruction of several hundred Karmas by Hurricane Sandy have added up to a company and a car that can fairly be described as "troubled." 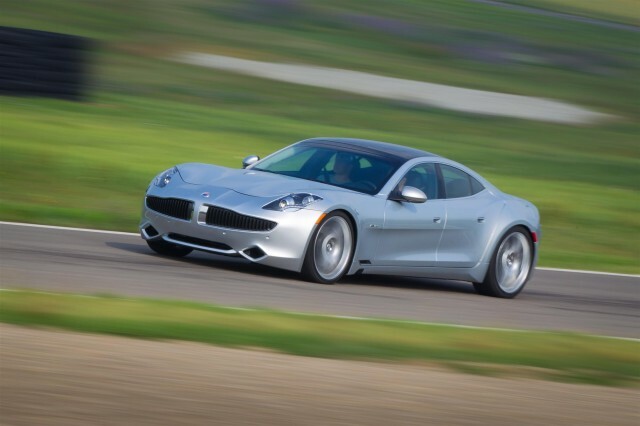 For more on the Karma, including pricing with options and specifications, read our full review of the 2012 Fisker Karma. The Karma's most unusual feature is its plug-in hybrid powertrain. It operates in a similar way to the arrangement used on the Chevrolet Volt--formally known as an extended-range electric vehicle--and uses a 22-kilowatt-hour lithium-ion battery pack to power a pair of 150-kilowatt (200-horsepower) electric motors that drive the rear wheels. The EPA rates the Fisker Karma at 32 miles of all-electric range. Once the battery pack is depleted, a 2.0-liter turbocharged, direct-injected four-cylinder gasoline engine kicks in to power a generator that delivers electric power to the motors, giving it another 200 or more miles of driving range. The Karma has been criticized for its relatively low gas mileage in this range-extended mode; the EPA rates it at just 20 miles per gallon with the engine running. Production of 2012 Karmas began late in 2011 after a host of delays, which were sufficient to cause the U.S. Department of Energy to freeze its low-interest loans to the company. Early Fisker Karmas suffered embarrassing shutdowns--including during early testing by Consumer Reports--and received at best mixed reviews. The A123 battery recall was separate from a mysterious battery fire, which led to its own recall of most Karmas to replace a defective fan that could overheat and catch fire. The fate of Fisker and its DoE loans were also a continuing source of friction between campaigns in Election 2012 as well. And in a final insult, about 320 brand-new Fisker Karma vehicles sitting on a dock at a New Jersey port were destroyed by Hurricane Sandy. The luxury four-door electric sedan starts at $106,000, with most buyers eligible for a $7,500 credit on their Federal income tax returns. Plans for two additional body styles on the Karma platform--a "shooting brake" sports wagon model called the Surf and a two-door model with a retractable hardtop, the Karma S or Sunset--are now on hold while Fisker devotes all its resources to developing and launching a less expensive model called the Atlantic in 2015. Behind the wheel of the Karma, drivers can select one of two modes: "Stealth" is the all-electric mode, up to the capacity of the battery pack, while "Sport" switches on the engine to deliver more power and better performance. 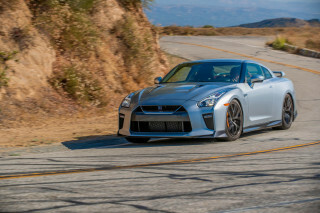 A pair of "Hill" modes increases the regenerative braking, allowing the Karma to be driven "on one pedal" more often, similar to the pioneering Tesla Roadster, the first modern electric-drive car. 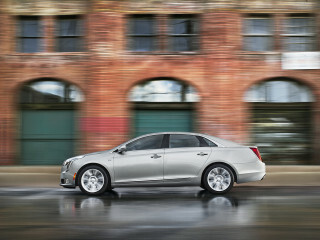 The car is heavy on the road, with limited suspension travel for the 22-inch wheels (the largest on any production sedan). While the car has roughly the footprint of a BMW 7-Series, its interior space is so minimal that the EPA deems it a subcompact--and the trunk volume is less than 8 cubic feet, or barely enough for a handful of soft luggage. An interesting though low-volume option for the Karma is the “Eco-Chic” interior, which uses no animal products and features wood reclaimed from forest-fire salvage logs, renewable resources like bamboo, and even logs that sank into rivers years ago. The upholstery and even the dash surfaces are fabrics rather than plastic. The Karma's optional leather upholstery uses much more of each hide—85 percent—than other makers, retaining the marks and scars that are excised before use in other luxury cars. The Karma's design undeniably striking, and its pioneering technology sets it apart from any other maker's large luxury sedans. 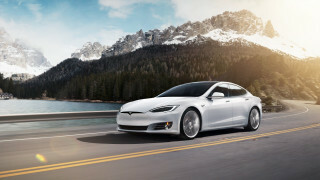 It competes both with similarly sized German prestige sedans—like the BMW 5-Series and the Audi A6, including their upcoming hybrid variants—but perhaps most directly with the Tesla Model S, which entered production in the second half of 2012 and has won numerous awards from the automotive press. So far and no major road trips, I am very happy and it is better than I expected. Car is fast for it's weight and a real head turner. I live in a town full of high end cars and it still stands out from the... So far and no major road trips, I am very happy and it is better than I expected. Amazing Show Car drives like flying an airplane.